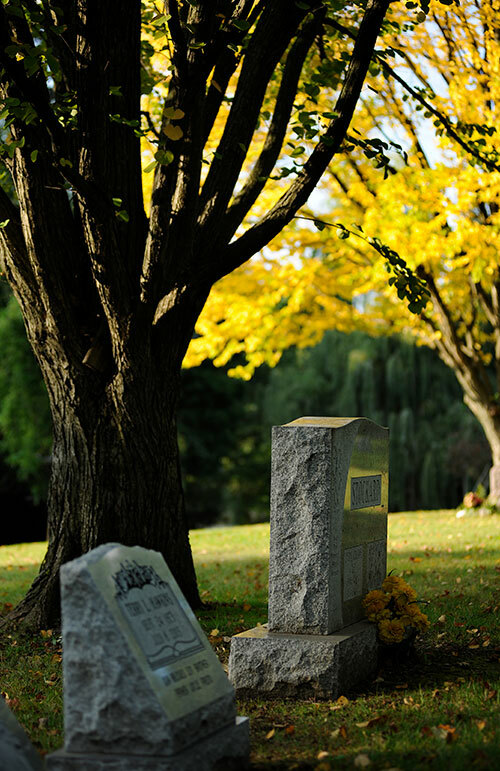 While the stately beauty of Woodlawn Cemetery & Arboretum is rooted in history and generations past, today we offer a full range of burial and memorial services to meet the needs of contemporary families. A full 47 acres of Woodlawn Cemetery remain undeveloped. 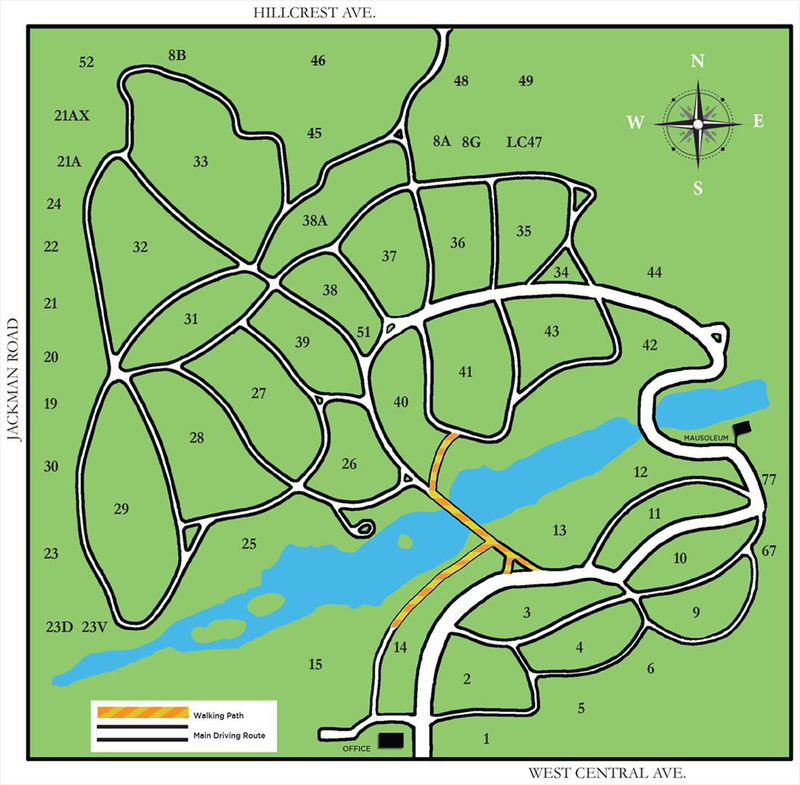 Burial plots of all sizes are available throughout the site on hillsides, in open areas, forested sections and beside peaceful Woodlawn lakes. Family plots guarantee continuity among gravesites for families who wish to carve out their own special place on the cemetery grounds. Perpetual care is included in the cost of every Woodlawn plot. Some areas of the cemetery are designated for monument-style memorials while others accommodate traditional grave stones and in-ground markers. Mausoleum entombment is also an option, whether in Woodlawn’s lakeside mausoleum or in a privately commissioned mausoleum. We also offer a range of remembrance options to those who choose cremation. Regardless of the funeral services you select, you can rely on your Woodlawn Family Advisor to walk you through the details of planning a funeral with the utmost care and compassion. Education and planning assistance are part of the impeccable, personalized service we pride ourselves in providing. In addition, we offer pre-planning services to those who wish to spare their loved ones the burden of making final arrangements for them. Pre-planning allows you to make decisions calmly and carefully well in advance. So you can be sure your wishes are met while relieving stress on your family during a difficult time. As a private, non-profit association, any profits from products or services provided by Woodlawn are re-invested in the maintenance, restoration and preservation of the cemetery, a National Historic Site. For planning assistance contact Woodlawn Cemetery 419-472-2186 or contact us for more information.